From Douglasville to Smyrna, Marietta, Fayetteville, and throughout the metro Atlanta area, Arango Insulation is the home insulation installer you nee d for fast, reliable service. 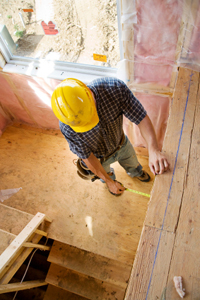 Whether it’s retrofitting a basement in Belmont, insulating an attic in Decatur, or lining exterior walls with house wrap in Lawrenceville, Arango Insulation has you covered from the attic to the crawlspace and everywhere in between. Arango isn’t just an insulation installer. We’re a locally-owned, family-owned and operated business that’s focused on providing the friendly Southern hospitality that makes Georgia so famous. We live and work in the same towns you do, and that’s how we can understand your concerns and advise you on what works best in this area. Find out for yourself why Arango has so many loyal customers around Atlanta. Call or e-mail us today for more information on having us as your home insulation installer.